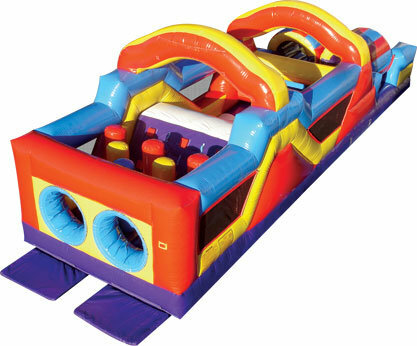 This Monster Obstacle Course is an oversized inflatable play structure has a bright and colorful theme of yellow, red and blue, perfect for high-traffic days. Set up for friendly competition play, with dual entrances and exits. This impressive structure measures over 12’6” tall, and features mesh sides for easy viewing and safety from beginning to end.